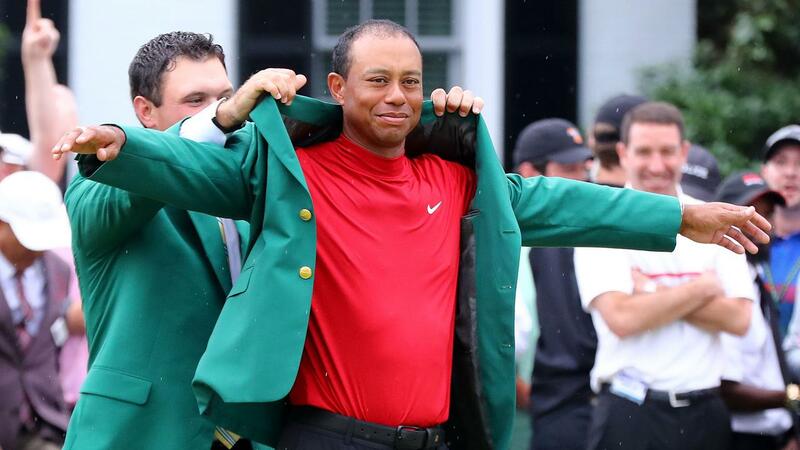 Former top golfer Robert-Jan Derksen is very impressed with what Tiger Woods showed at the Masters in Augusta on Sunday. The American legend crowned his comeback after injuries by winning the first major of the year. "Two years ago he thought he could no longer play golf, because he could not get out of bed and play with his children. It is great that he is back and wins one of the biggest tournaments," says Derksen, nowadays commentator at Ziggo Sport , against NUsport on Monday. "This is one of the biggest comebacks ever in the sport for me. He was also lucky, but you still have to finish it. He definitely did that. It is certain that this is something special." Woods, who has been struggling with a persistent back injury and private problems in recent years, took his fifteenth major title in Augusta and his first since 2008. Only Jack Nicklaus (eighteen titles) was more successful at the four major tournaments. "The performance of Woods goes much further than just golf," says Derksen. "Sports enthusiasts in general also like this very much. I speak to many people who are not interested in golf and still find it very special what Woods has done after everything he has experienced." "Similar to Jordan, Senna and Cruijff"
Derksen, who was stopped in 2014, calls Woods an absolute icon in golf. "I think you can compare him to Michael Jordan, Ayrton Senna and Johan Cruijff. Values ​​that are even bigger than the sport itself," he says. "The great thing about Woods is that he can not only play well, but can also handle the pressure well. Apparently, you won't be able to do that. When it came down to it, he came out as the best and let others get stuck." The differences were very small on the final day of the Masters. Woods finished with one stroke ahead of his countrymen Dustin Johnson, Brooks Koepka and Xander Schauffele. The 45-year-old Derksen believes that Woods achieved his old top level, certainly on a mental level. "I found him the old Tiger again. It was remarkable how focused he was. He was able to close himself completely, just like in the old days." "Hard to tell if he can win other majors"
Whether Woods' historic victory over the Masters is the start of a new successful period for the legendary American, Derksen finds it difficult to say. "He has started to play better, so in that respect he can compete with the top. On the other hand, the Masters are relatively the 'easiest' to win, because the course is the same every year and it suits him. fewer people with it than on the other majors, "said the Dutchman. "Normally 150 players participate and with the Masters there are 80 to 85, although of course you also have to beat them. Whether he still has the ability to win other majors, I find it very difficult to say. good luck is also needed. " Thanks to his victory at the Masters, Woods is back in the top ten of the world ranking. The American rose from twelfth to sixth place. He ended 2017 as the global number 656.